Made for skilled craftsman and tested by professionals, the RangerGrip series offers a more robust array of tools for larger jobs. The two component handles are ergonomic for superior grip and one-hand blade opens with a simple flick of your thumb, thus locking it securely into place during use. Durable enough to last a lifetime, and guaranteed for it, you can rely on this knife for years to come. With elements such as a can opener, Phillips screwdriver, and 4.2" wood saw you'll always have the right tool for the right situation. 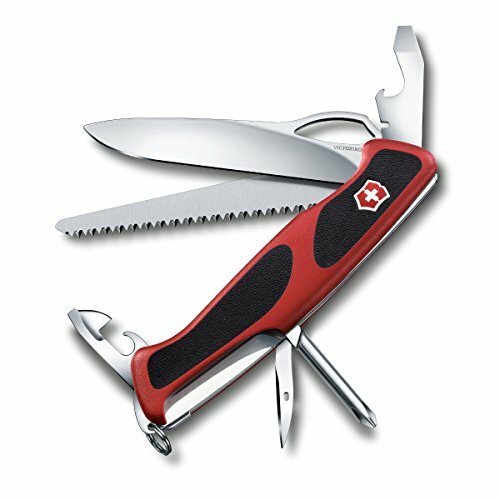 Like all Swiss Army Knives, the RangerGrip 78 has a lifetime warranty, stainless steel implements and Swiss-made quality and durability.